A number of personalities have made the transition from the sport that made them famous and become wrestlers because they felt the draw of the squared circle; Moose left the NFL to become Mr. Impact Wrestling, and Ronda Rousey left the UFC to become the pillar of the WWE women's division. Transitions are scary and most times the newcomer will be placed in a singles match with an experienced hand to guide them but never before have they been thrown right into the middle of a 40-person Rumble. Enter Grant Holt in his debut for World Association Wrestling. 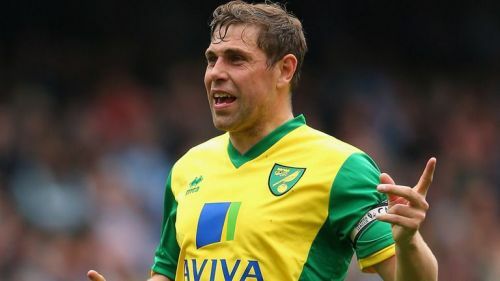 Grant Holt is one of the most well-known names in the English football world mainly because of his time at Norwich City. In 2009, his debut year for the club, Grant won the Player of the Month Award, and the coach made him captain in recognition of his skill. At the end of the season, he had guided his club to winning their division which earned them a promotion. In honor of his achievements, he was given the prestigious Norwich City Player of the Year Award which he'd go on to win a total of three times during his time at the club. After Norwich City, he played for other teams like Wigan Athletic and Wolverhampton Wanderers. Grant retired from football in August 2018 and news came out that he would be working for the World Association of Wrestling. The WAW management had initially planned for his debut to be in 2019 at Fightmare 3, but they were sufficiently impressed with his progress in training that they gave him the green light to compete in the 40 person rumble as Halt Hogan. His performance in the bout was very impressive considering the fact that it was his first match and to cap it off, he won decisively; after pulling off a Kofi Kingston-like save with a little bit of help, he dropkicked the final man out of the ring and was declared the winner. Several fans and even his former club, Wolves, took to Twitter to express their delight at his performance in the match. Some fans are even looking forward to him facing the Undertaker in the future. Grant Holt made his wrestling debut on Saturday night. - He wore a shirt, jumper and trousers to compete in. - Eliminated someone with a dropkick while they were on the top turnbuckle. - Won a 40-man Royal Rumble. According to BBC Radio Norfolk, Holt will team up with Ricky Knight to face Kosta and Malik in June 2019. Holt's Twitter feed indicates that he has an interest in working for the WWE in the near future and it would be interesting to see him compete against the Bruiserweght, Pete Dunne, for the WWE UK Championship. 10 Ridiculous Wrestling gimmicks that worked anyway. 7 Wrestlers who have fought serious health issues.